A very warm welcome to our school and to our website. Hopefully the information you gain here will convey the family atmosphere; the professionalism and the pursuit of excellence, which can be felt when physically entering the school. There is nothing like the real McCoy, so please visit us on one of our Open Days; our students are our best selling point and to get a true picture you should come and meet them. Colchester Royal Grammar School was founded in 1206 and granted two Royal Charters, by Henry VIII in 1539 and by Elizabeth I in 1584. It has, therefore, a history of scholarship dating back to the sixteenth century. It became an academy in 2012 and was designated a National Teaching School and a National Support School in 2013. CRGS is an 11-18 school for boys and admits girls into a co-educational Sixth Form. It is one of very few state boarding schools, with a family style boarding house designed for 30 Sixth Form boys. This adds to the multicultural community of the school, which also offers a wide range of trips, exchanges and extracurricular activities to enrich the students’ education. 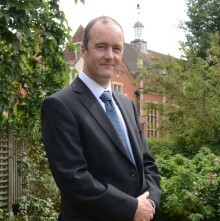 The school has outstanding music and drama facilities and a comprehensive sports fixture list. If you do come and visit us, you will find a school which is founded on, and committed to, very traditional values. We combine this with a forward thinking and modern approach to education. This is a unique combination which leads to the outstanding success that the school has become famous for; we are preparing all our students for their very bright futures and producing the next generation of leaders for our country. Colchester Royal Grammar School welcomes applications from students for entry at 11+, 13+ and 16+ and it encourages parents of prospective students to attend one of the school’s Open Evenings. In the meantime, I hope that you enjoy trawling this site and getting to know a little more about life at Colchester Royal Grammar School.